A Program Tailored to Fit Your Needs! We continually upgrade the teaching skills of all United Studios of Self Defense Black Belt Instructors. Our effective United Studios of Self Defense Martial Arts System will give you the upper hand in situations that can happen anytime, anywhere. Believing in yourself starts early! At United Studios of Self Defense, we work hard to make your child's first experience with the Martial Arts a safe and productive one. Young people must have personal goals and a caring support system to make their dreams a reality. We will help your child become a strong and productive member of society armed with character, strong self-discipline and a healthy self-image. Equipped with these positive attributes, your child will have the inner strength needed to avoid the many temptations children face today. Strong people are the cornerstone of a strong society and nation. Your child's present and future success and happiness, is important to all United Studios' Instructors. 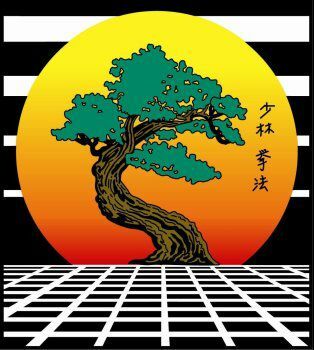 We place a special emphasis on the mental attributes of concentration, patience and self-control as we explore the physical principles of balance, timing and perfecting Martial Arts technique. These videos are meant to illustrate principles of the kenpo style, and not for the purpose of instruction. Please visit any United Studios of Self Defense for proper instruction of these techniques. For more visit USSD HQ Channel on www.youtube.com. A discipline, sport, art and way of life, the Martial Arts offers the adult student many unique benefits. You may be a professional looking for that added mental edge in business, or someone who just wants to feel stronger and be more energetic Studies have shown for years that adults who exercise have lower blood pressure, increased muscular strength, better flexibility and less body fat than those adults who do not exercise. They can also cope with high levels of stress and have a more confident self-image. With a goal of successful practice and application in mind, each class consists of effective self defense training and drills, plus various exercise and stretching routines. Students may schedule their private lesson(s) to best fit their schedule. Also, a student may enroll for one month to as many as four years at a time, based on their personal needs and goals.